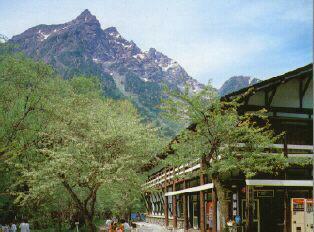 Here is The Kamikochi, Real Mauntain Resort! Here is nothing but mountains, trees, river, and nature. About Oct. 9th 10th. and Saturdays in Sep. and Oct.becase of vacation. We have Japaneese style rooms but no bath and restroom in it. Sorry, No Cards acceptable, Cash Only accepted. you may stay with other people, men or women or men & women. Men only room and women only room are separated rooms. One bed per person are arranged. You may have 1 room for 1 person in the off season. The charge shown above is the approximate rate for 1 room with 2 people. in the Japan alps national park area. only in dormitory(but japanese tatami) system. Charge is subject to the accommodation provided. Hotel Anex is very new. Japanese style bigger bath for men or women with a nice view. In the bathroom,we provide bodysoaps,shampoo,clean towels. A hair dryer is provided in the bathroom for women. You may use it from 15:00 to 20:00 hours. At reception a bigger bath towel is available. with original goods and other items. We serve cofee,tea,cocoa,and draft bear. Our natural apple juice is highly recomended. The restaurant for non-resident is open from 7a.m.to 3p.m. Grilled fish(iwana is famous in this area)for lunch.so on. We have 8 vending mashines for your drink needs. We have two, you can use until 9p.m. from 9.30p.m. because the hotel is for people who like nature. from kamikochi bus stop 3k,40min.walk only. We recomend to come in by backpacking and until 4p.m. We are sorry you cannot take a bus to us. In order to preserve nature,buses are prohibited by the authorities. For reservations, would you please call us by phone,or web reservatin. 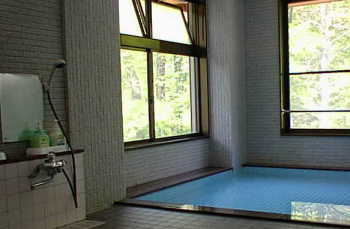 We will sometime at high season require a deposit@5,000yen by airmail to secure your booking. Here is the yen cash only area. We do not receive reservation by e-mail regularly. But if you use e-mail, would you please send your reservation early. And would you please arrive at our hotel by about 4.pm. Myojinkan Kamikochi azumi matsumoto-shi nagano-ken Japan. All photography is ours. All Right Reserved by Myojinkan,M.Nashida.